Next week we are celebrating local fashion at Mercedes Benz Fashion Week Cape Town and we are certainly looking forward to seeing the latest trends on the runways! 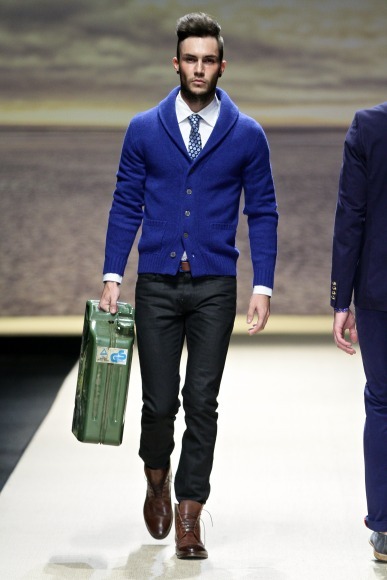 One of the must see shows at this years fashion week is definitely Fabiani Menswear with their dashing, fashion forward and trendy menswear.
" @Luxo_Blog This year I think .................will be a trend on the runway of @Fabianimenswear at #MBFWCT2013 #LUXOwin "
Competition closes on 6 August and winners will be announced on 7 August! No comments yet on WIN tickets to Fabiani at Cape Town Fashion Week!.